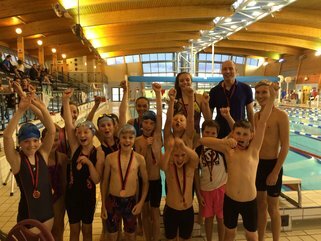 We have swimming groups to cater for all ages. The Club is split into 3 main sections. The "Learn to Swim", "Swim Development" and the "Competition Groups". We follow the National Plan for Teaching Swimming through our Learn to Swim and Swim Development groups and structure our training around the Long Term Athlete Development model. The Swim Development and Competition groups are required to purchase some personal training equipment. The Learn to Swim section starts with children from 4 years old and is based in the learner pool with small groups. The sessions are 30 mins long and as they get more confident they are gradually introduced to the main pool. We bill in advance, at the end of a block of sessions (around 14 weeks) for the next block of session. We don't swim on Bank Holidays (as pool closed) and stop during August. Once the children can swim competently they are then transferred to Swim Development, this is generally when they are from 6-9 years old. They swim in the main pool over lengths starting at 1 hour per week increasing to 2 hours for the top group. 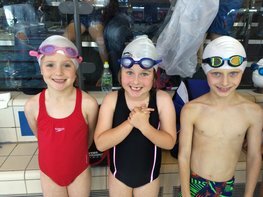 Once they reach 9 years old the swimmers in these groups need to be of adequate standard and commited enough to join the competition groups or we try to find alternative swimming arrangements. These groups start with swimmers from around 8 years old and go right up to adult. These groups are for committed swimmers of adequate standard. 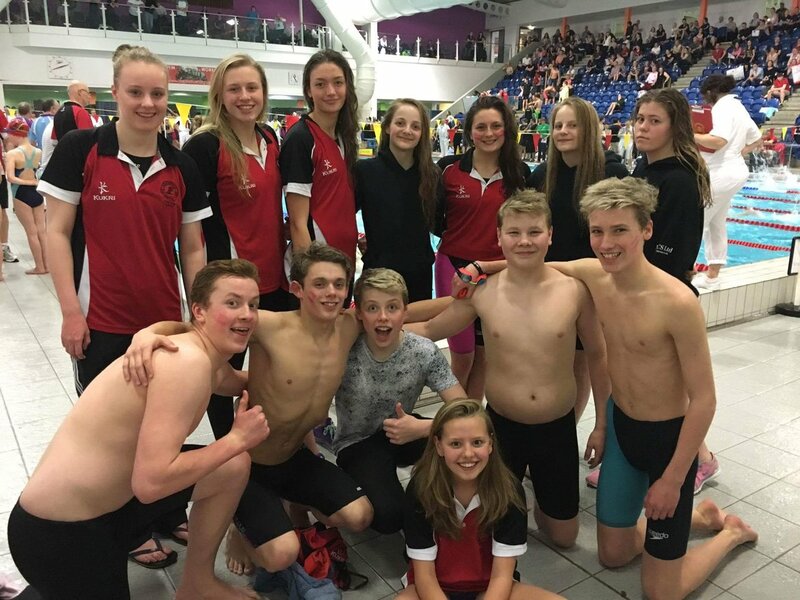 The aim of these groups is to get the swimmers to the best competition standard we can. The sessions available build in line with Long Term Athlete Development principles. Currently we are able to offer up to 12 hours of swimming per week over 7 sessions. This is adequate for most high standard developing competition swimmers up to the age of around 13/14.